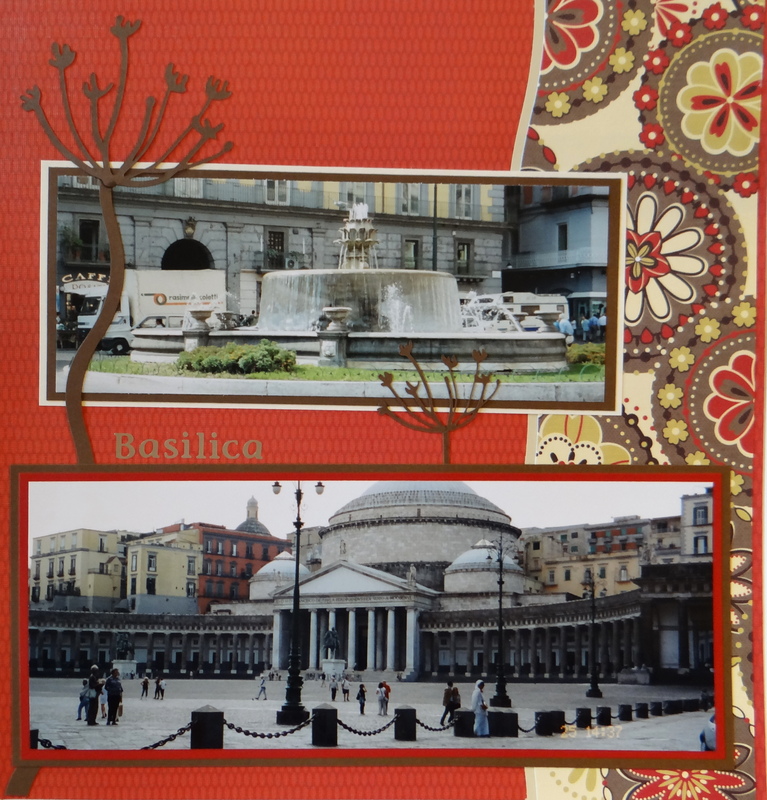 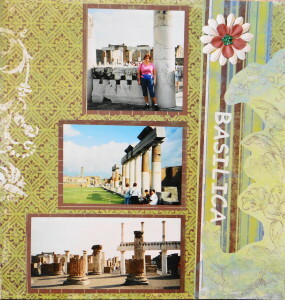 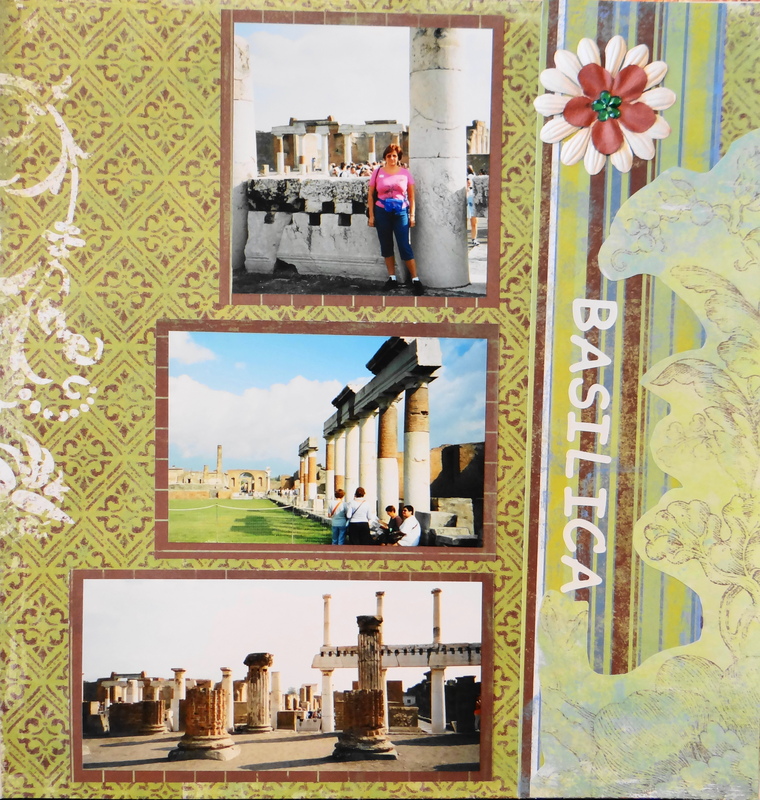 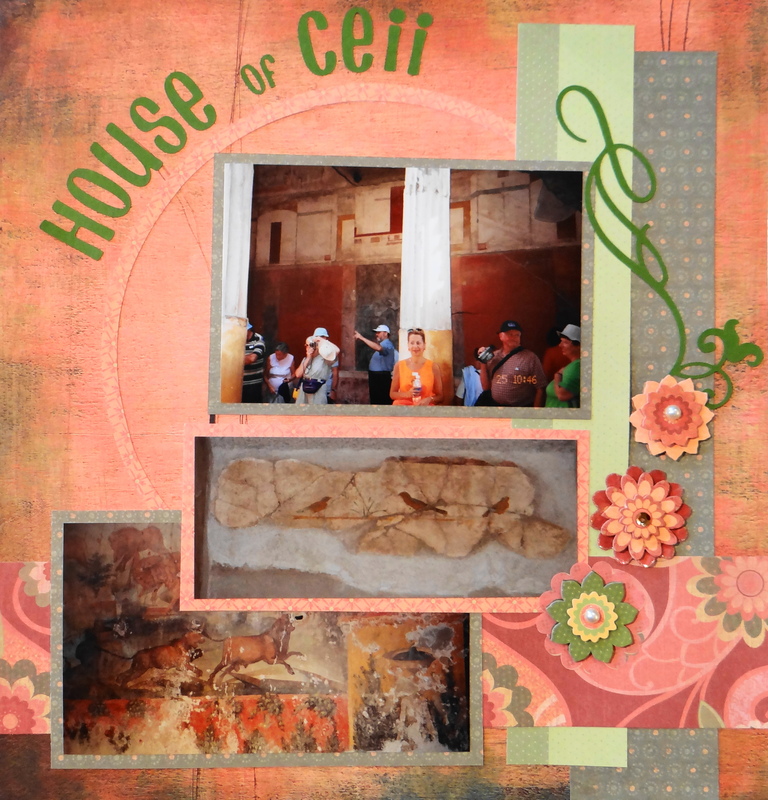 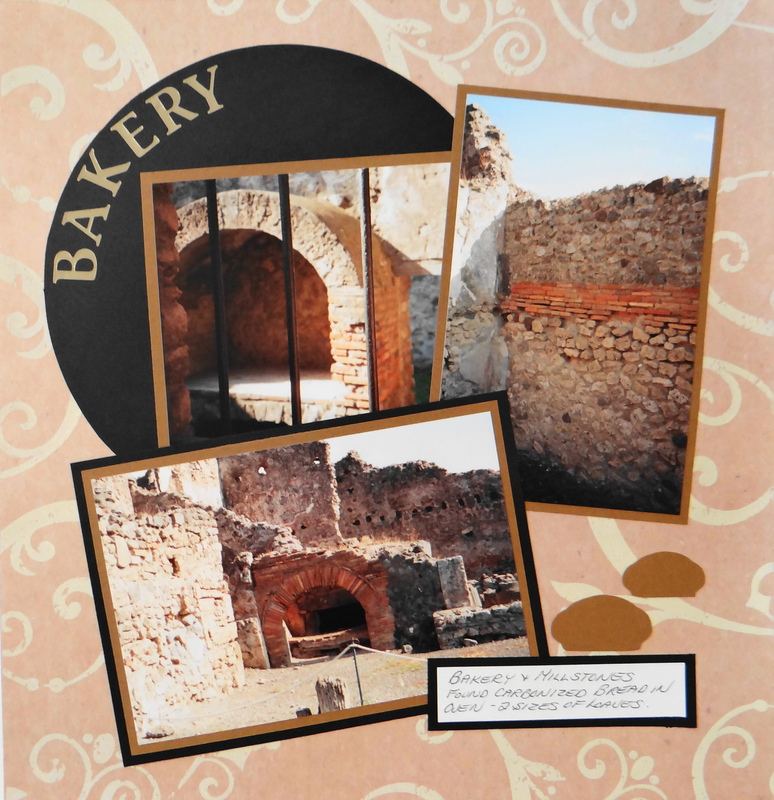 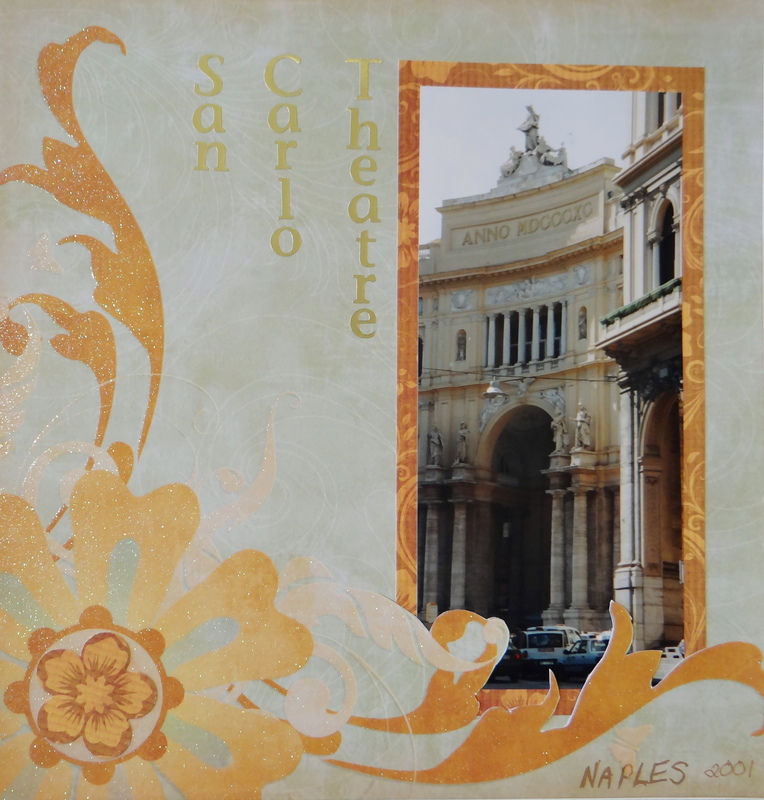 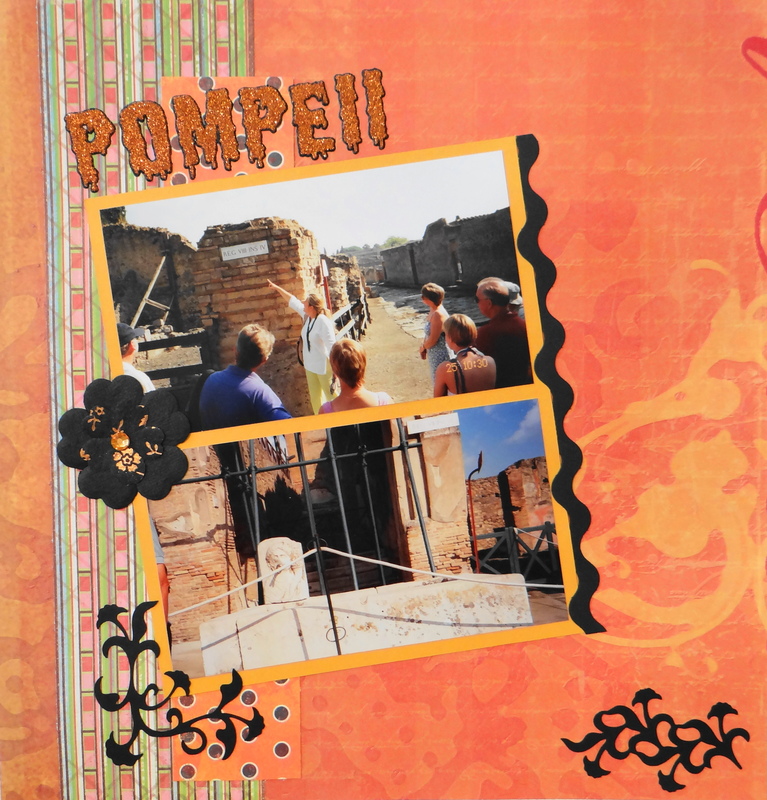 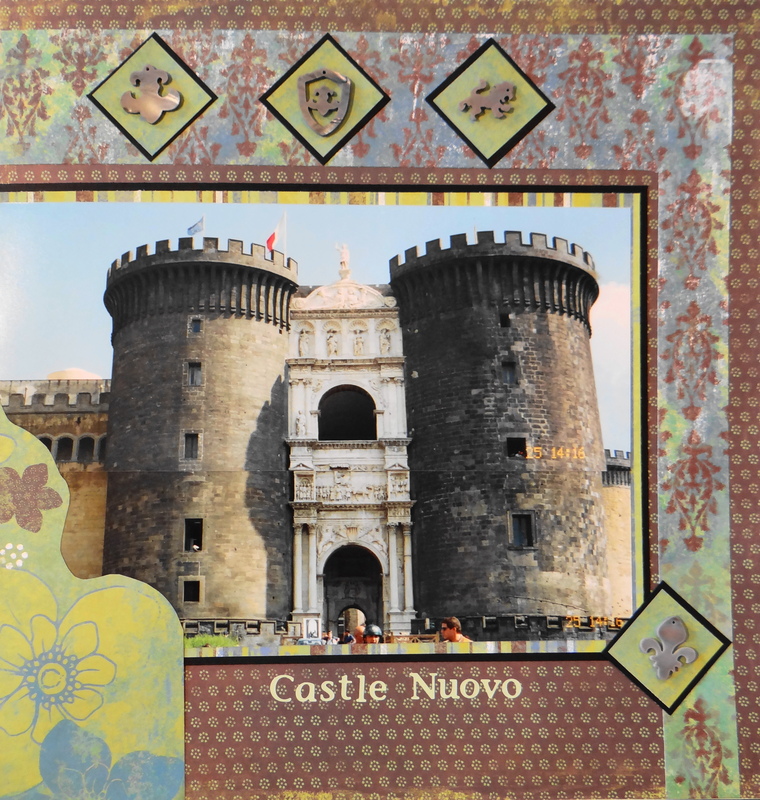 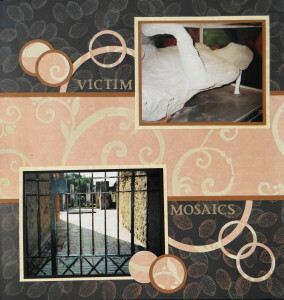 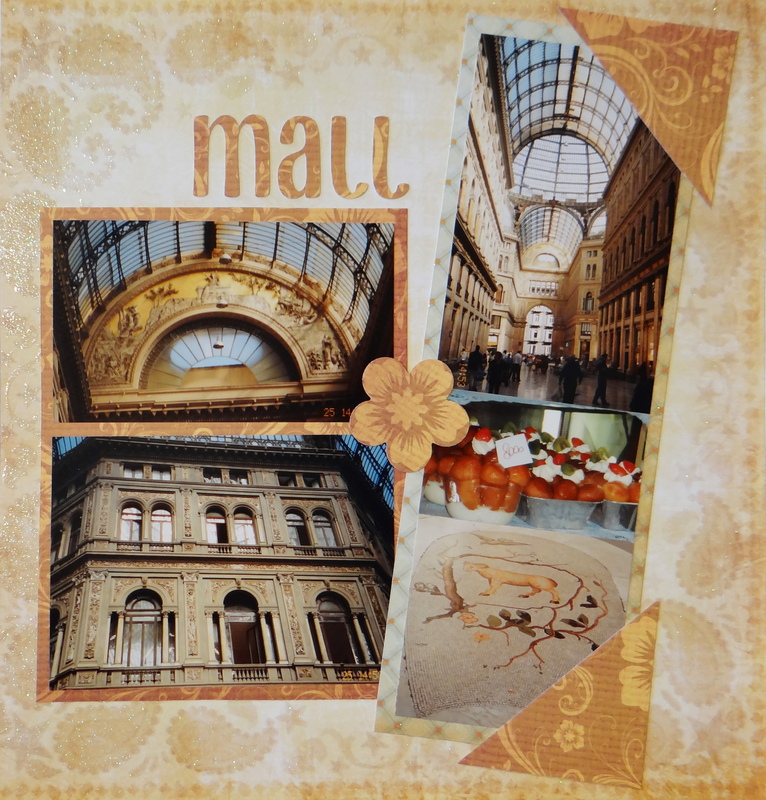 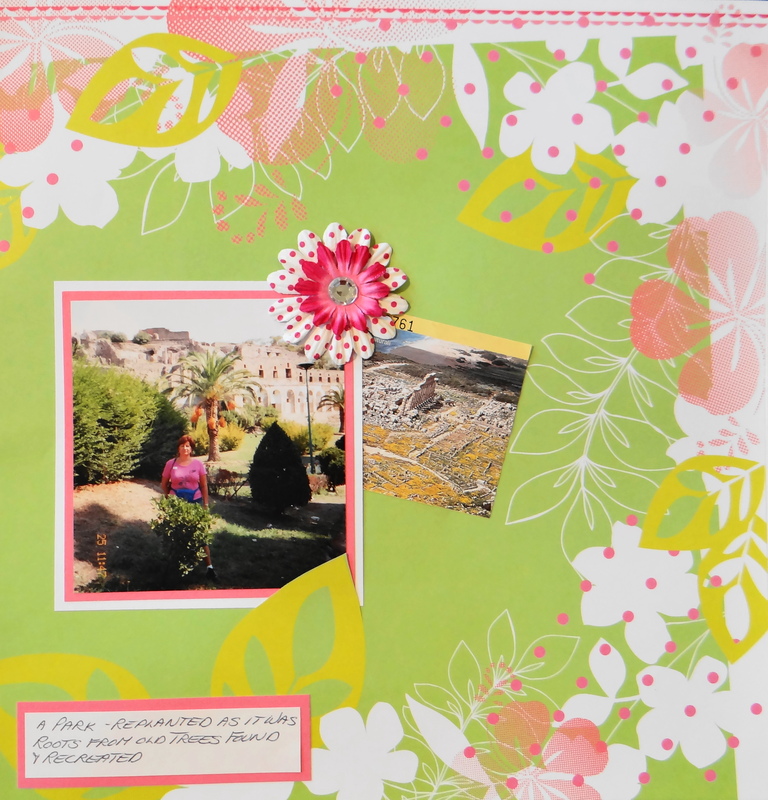 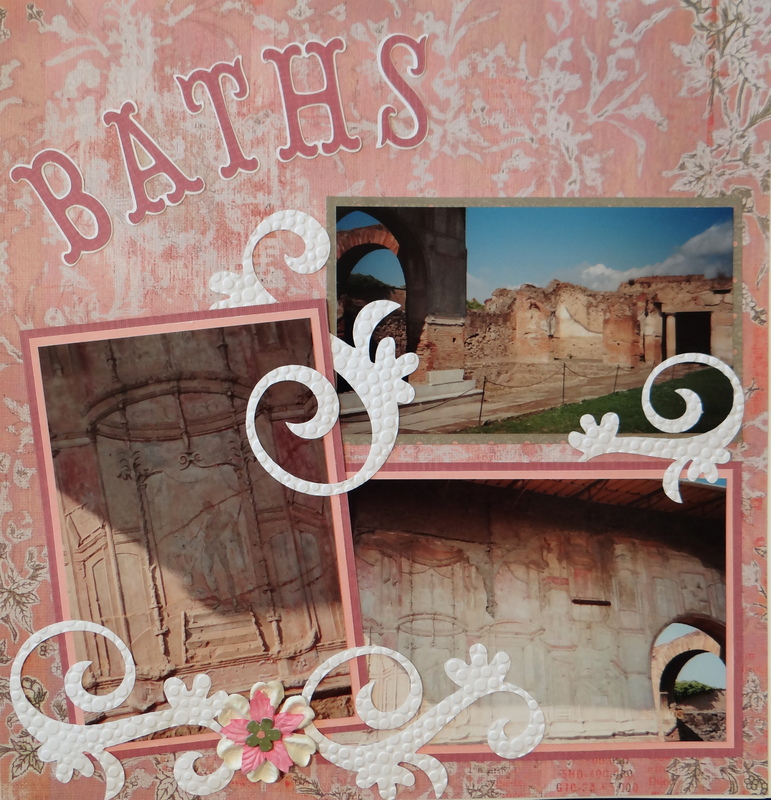 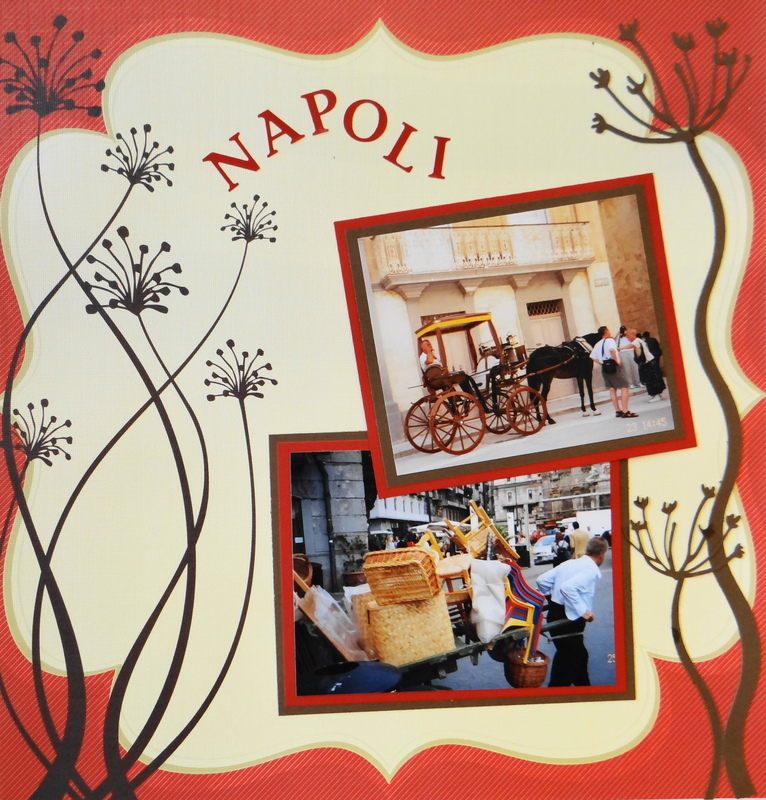 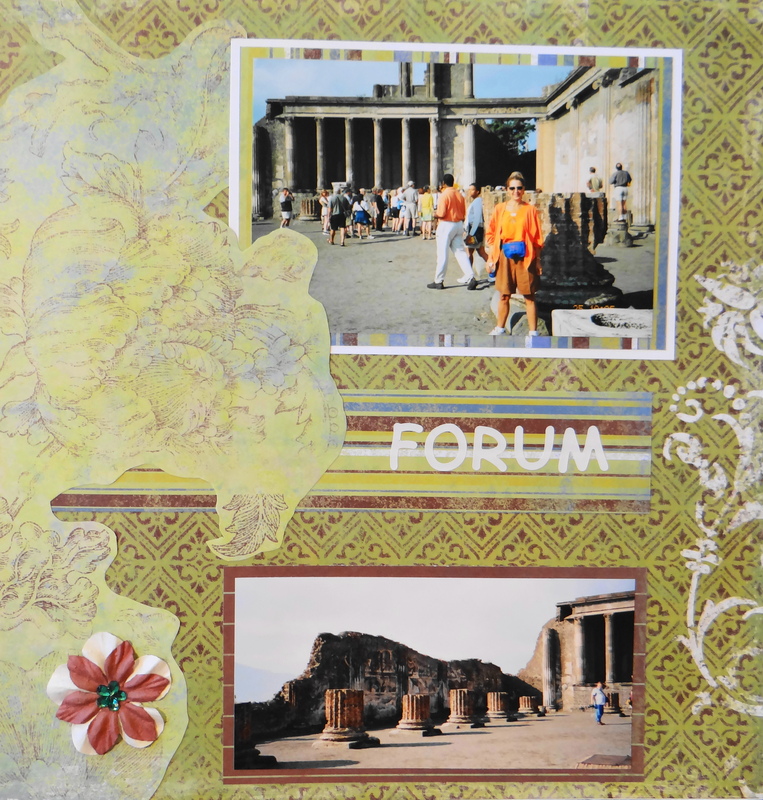 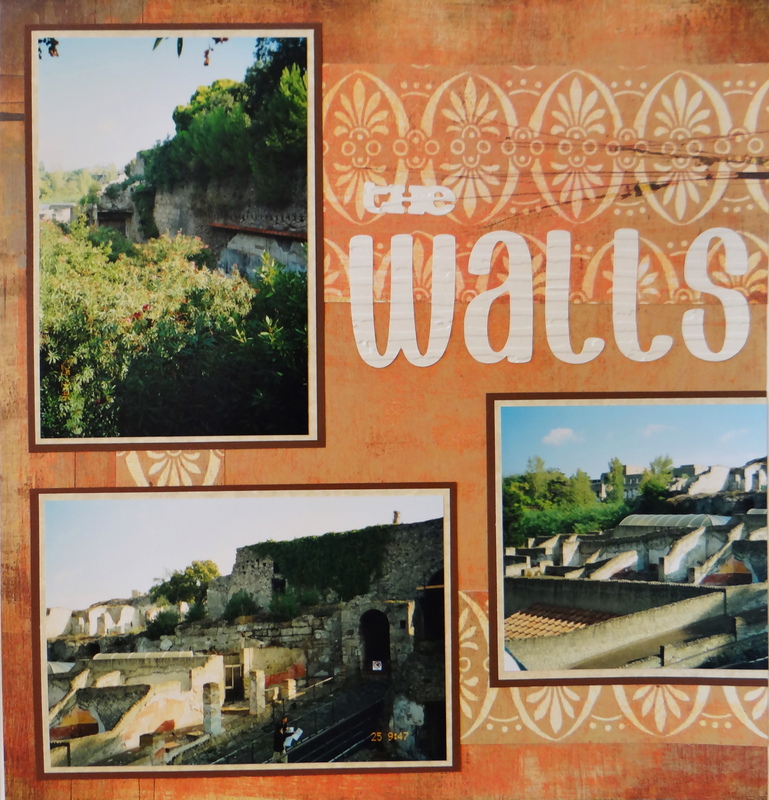 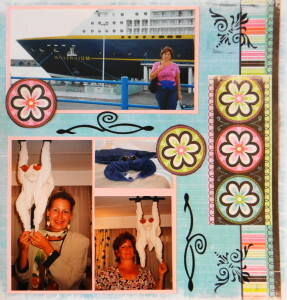 This album has travel scrapbook ideas for our tour of the ancient ruins and remains of Pompeii on our stop in Naples on a Mediterranean Cruise. 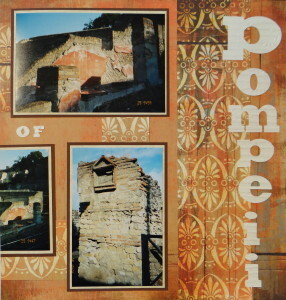 Inspiration: The colour of the remains of the city of Pompeii. 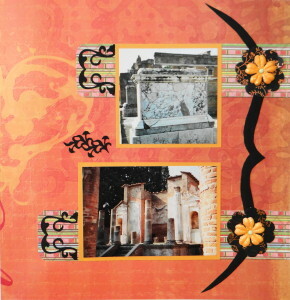 The fonts are from the Don Juan cartridge. 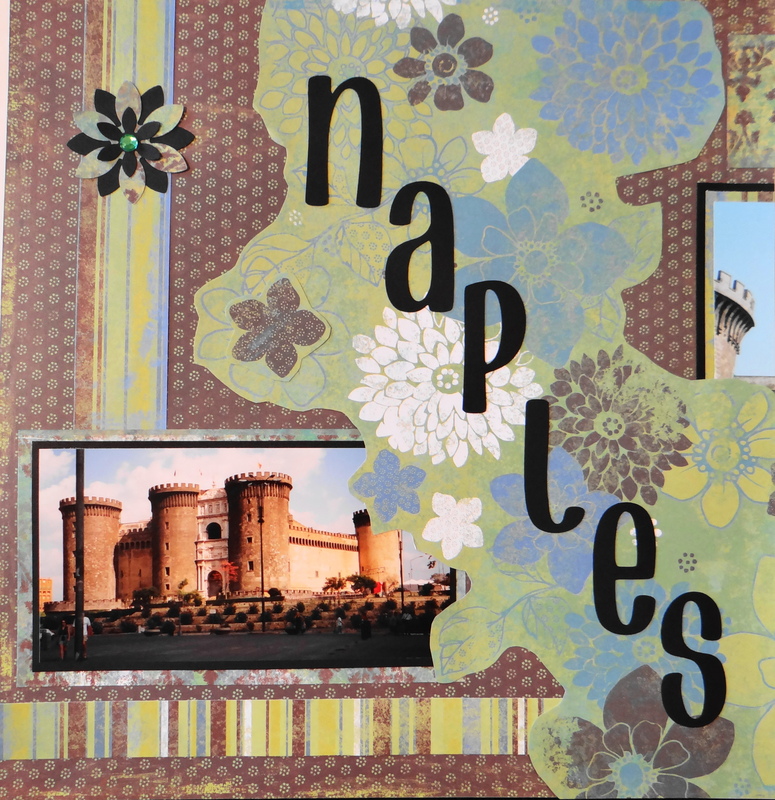 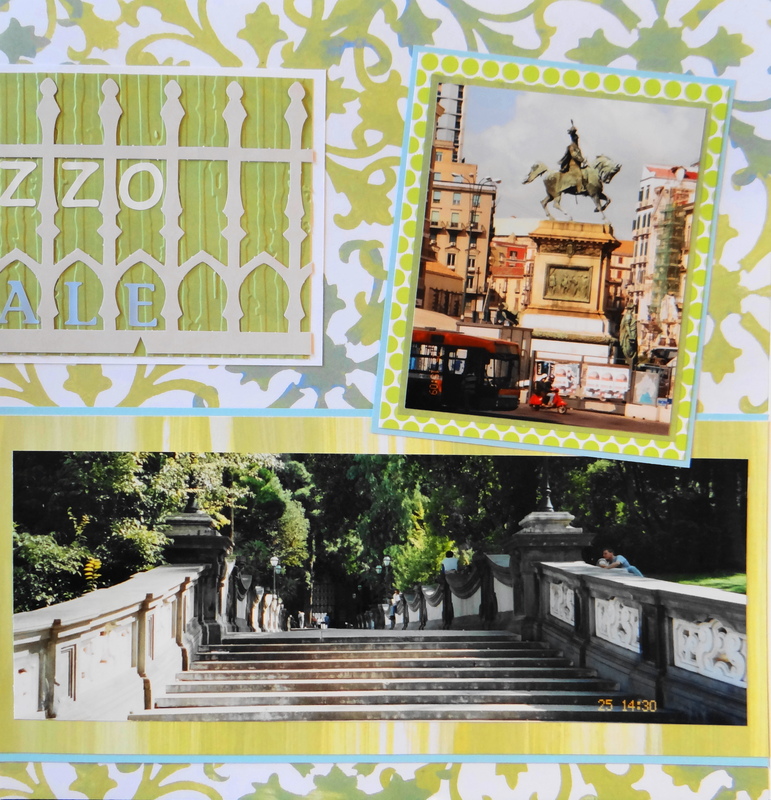 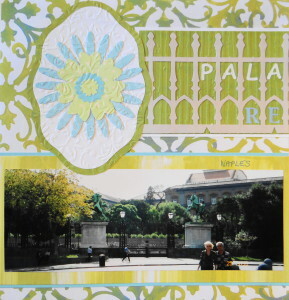 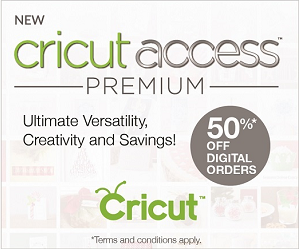 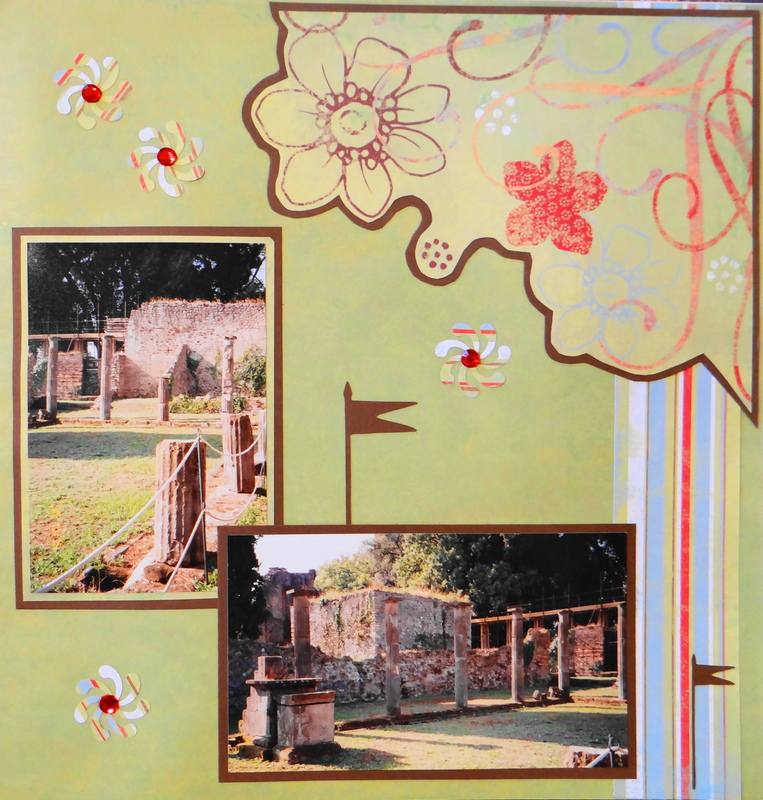 This scrapbook paper is from Basic Grey Urban Couture Paper pad. Inspiration: The orange brick walls. 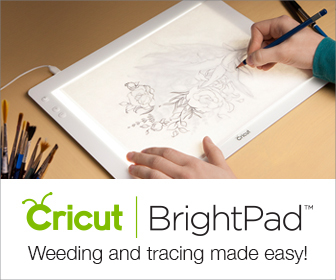 All of the corners and borders are from Storybook. 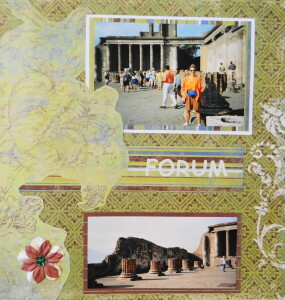 Inspiration: The gladiator’s quarters in Pompeii. 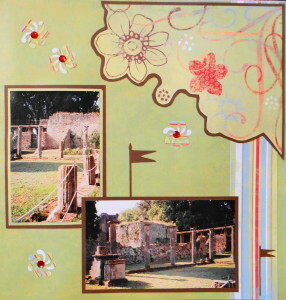 The pennants and armour are from Paper Doll Dress Up. This scrapbook paper is from My Mind’s Eye Bohemia 2 Paper Stack. Inspiration: Instead of wallpaper the Romans had hand painted wall murals in every room. 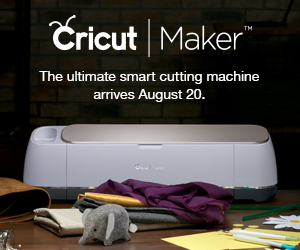 The colour of the House of Ceii inspired the paper choice. The scrapbook paper is from Basic Grey Urban Couture and Macella Bungalow Paper Pads. 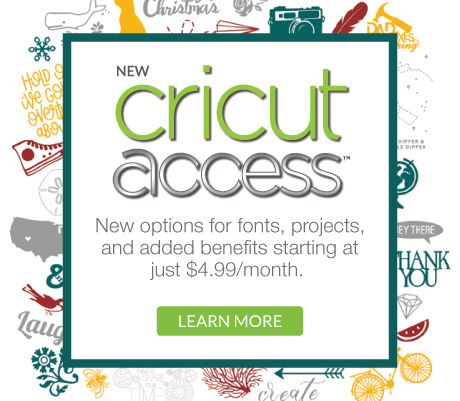 The flourishes are from Cricut Home Accents and the font is from Don Juan. Inspiration: The wall murals of the public baths of Pompeii. These flourishes are from Storybook. I believe the paper is from DCWV Rustic Paper Stack. 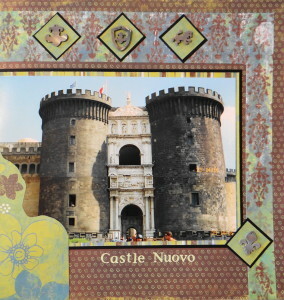 Inspiration: The beautiful iron gates at the Royal Palace in Naples. 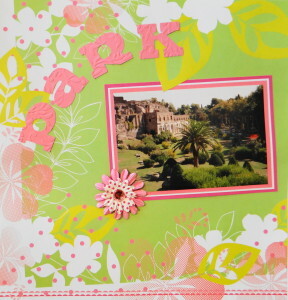 The flowers are from Storybook. 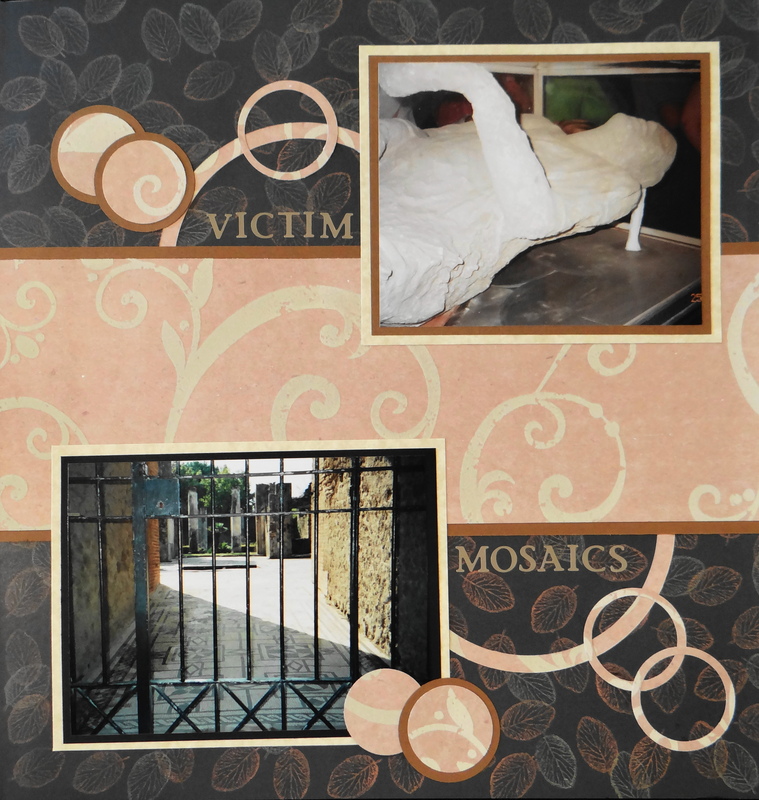 I embossed them. The scrapbook paper is from Colorbok Possibilities. 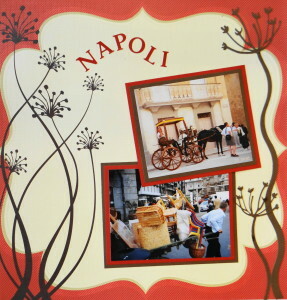 Inspiration: The colourful cart in the streets of Naples. 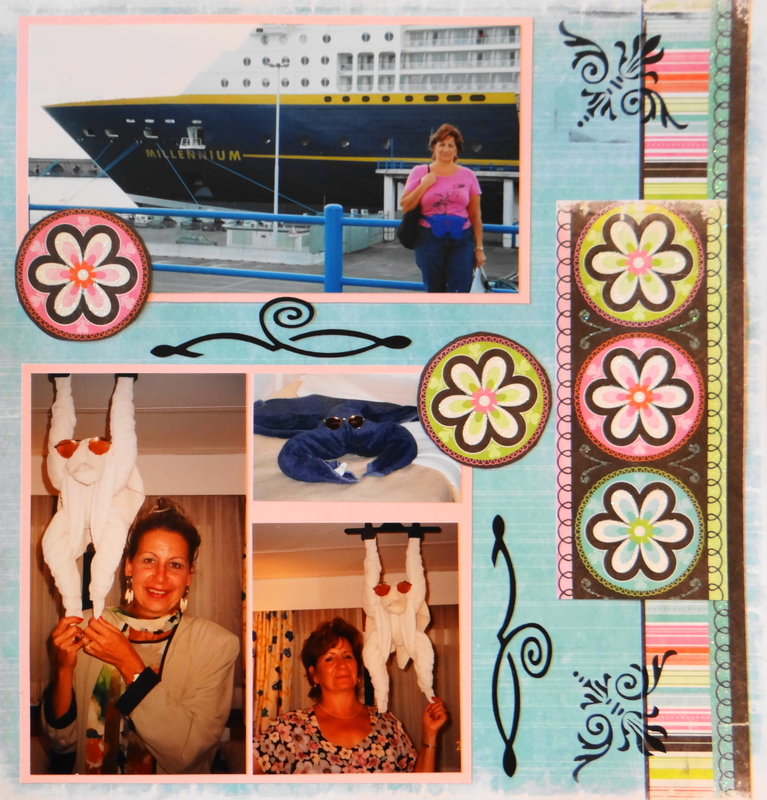 The flowers are from Home Accents. 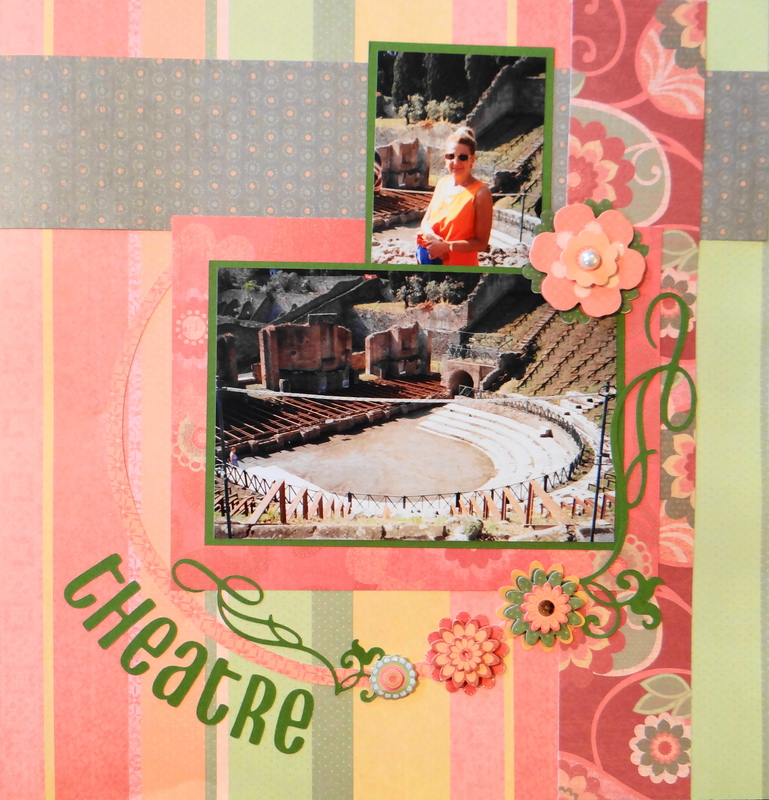 The scrapbook paper is from DCWV The Eco Stack. 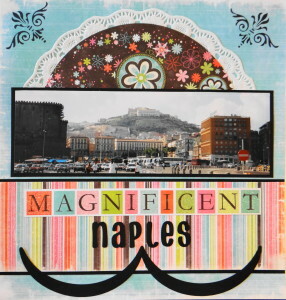 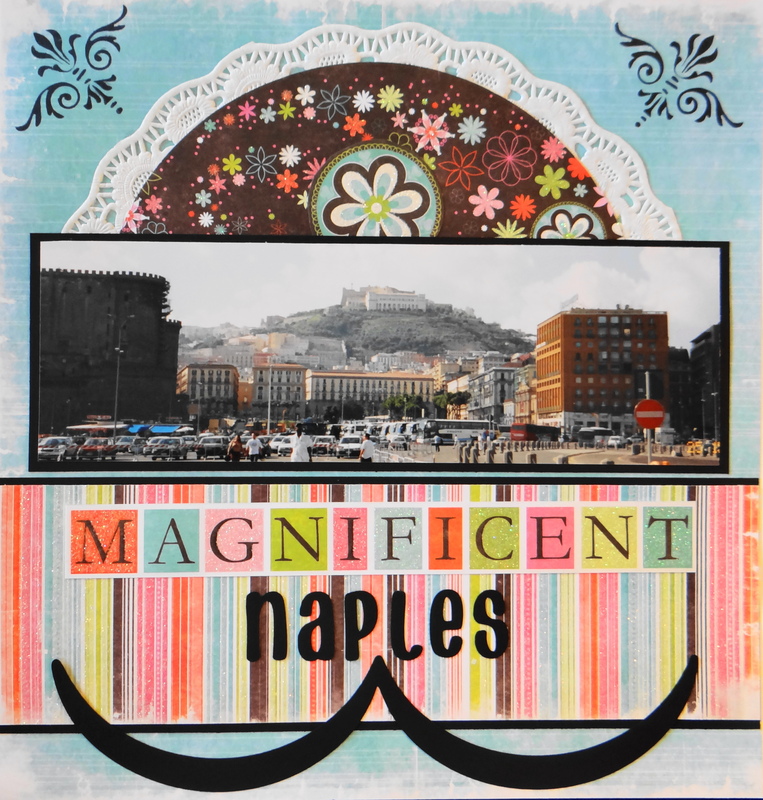 Inspiration: The port of Naples. 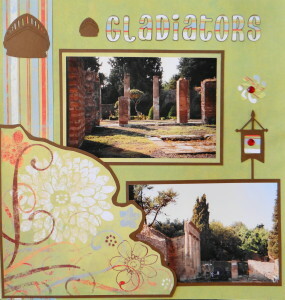 The scrapbook paper is from We R Memory Keepers Tiffany’s Paper Pad. 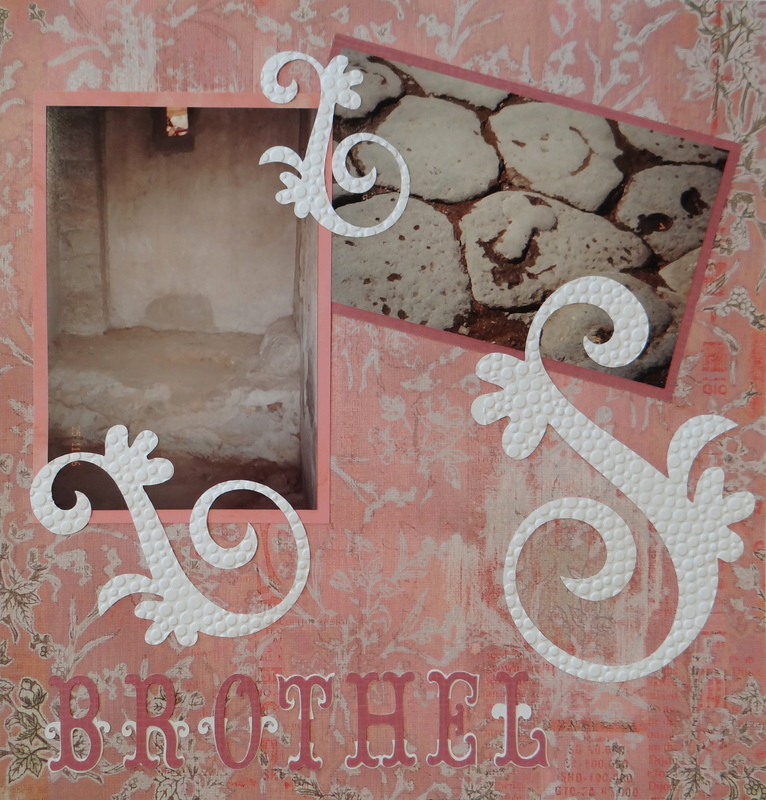 I tried some stamping on this page.